After frustrating potential customers last year when it launched its first smartphone, the One, OnePlus seems to have managed to botch the launch of the OnePlus 2 as well. In a post on the OnePlus forums, CEO Carl Pei recently apologized to the company's fans for letting them down again. As a token of appreciation for standing by the company, Pei also said that interested customers will be able to buy the OnePlus 2 without an invite during an open sale later this month. If purchasing the "2016 Flagship Killer" is on your priority list, you'll have to act fast, as OnePlus will only open up sales for an hour. The open sales hour will take place at a currently unspecified date in either late September or early October. Unfortunately, these are all the details that the company was willing to share at this point. Previously, the company promised to make it much easier to get the OnePlus 2 compared to how the invitation-based purchasing system worked with last year's OnePlus One. Despite this, however, Pei said that his company has only recently started selling the smartphone in "meaningful" quantities, a month since the previous ETA. 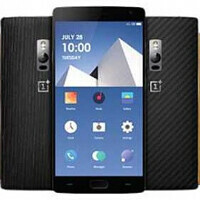 A simple apology would have done little to alleviate the discomfort of five million people, which is how many have pre-ordered the OnePlus 2 since the young smartphone maker announced the new smartphone last month. It will be very interesting to see how many of these people will purchase the handset during the one-hour window when sales will be open. We'll keep an eye out and let you know when more info surfaces. In the meantime, let us know what you make of this one-hour open OnePlus 2 sales window! And the site will crash, just like it did last time they pulled this stunt. No thanks. And then the phone will crash. I don't even mind the invite system as an idea, knowing why they use it. The only problem I've had with it is that they allow people to jump the line by spamming their friends and posting on twitter. When invites opened I got in around 15,000, but because I refuse to annoy people about it I'm now around 150,000. Question: Why don't you guys have a oneplus 2 review yet??? You've had the benchmarks up for a while now but there is still no review for it! where the hell is the Oneplus 2 review. I know that other sites have it up but I want PA's take on it. Note 5 hype ok I dig 6 Edge + ok I can see it. Comparisons ok why not. BUT THE HTC DESIRE 626?!?!?!?!?!??!!?!?!?!?! Meh, not really a "flagship" like the OnePlus One. Not with it's average battery, lack of NFC support, and lack of quick charge technology. If all of the above were the same as the OnePlus One, won't mind if the price went to $450, it would still an extremely worthy and valuable "flagship"...though honestly, still won't have "upgraded" from my OnePlus One, not for at least another year or until I see a CyanogenMod Custom ROM for it due to official OEM software support bound to come to an end with every Android device. The invite-to-buy is just BS. Hehe, most people already order their moto X ... Too late Mr. Pei..
Another STUNT by Oppo/OnePlus. You watch, their "fire sale" will be less than 50,000 devices, IF THAT. Once gone, you watch them also hit all of the social media sites saying how they "sold out" in 64 seconds, or some other BS. "We sold 50k units in 60 seconds" Yipee! Look how good we are! They pulled the same stunt inside China a couple weeks back. Then a day or so later, Xiaomi did the same thing, but they sold 800,000 units in 12 hours. Oppo/OnePlus, about the only people that care anymore, are the fanboys and the newbies that don't know the history of this so called company. I bought the OnePlus One because it offered a good value and my favorite ROM came stock. I will not be buying a OnePlus 2 because of Cyanogen. 4.4.4 and 5.1.1 have been stable. All the rest have not been good. My Moto X Pure Edition will be here Monday. It will work on Verizon, have excellent support and warranty replacement, SD card slot, quick charging, and quick Android updates. All for about the same price as the OnePlus 2. It is really a no brainer. Carl Pei may go talk about their "Never settle" propaganda but the truth is that OnePlus 2 customers will have to settle with poor battery life, lack of fast charging and lack of NFC. These are now a standard for any flagship/upper mid range device. If the phone didnt have these problems, it would have been the best value for money phone in the market.